2017 Crestliner 1600 Vision Tiller Intuitive. Confident. Convenient. Those are just a few words that describe the 1600 Vision Tiller. 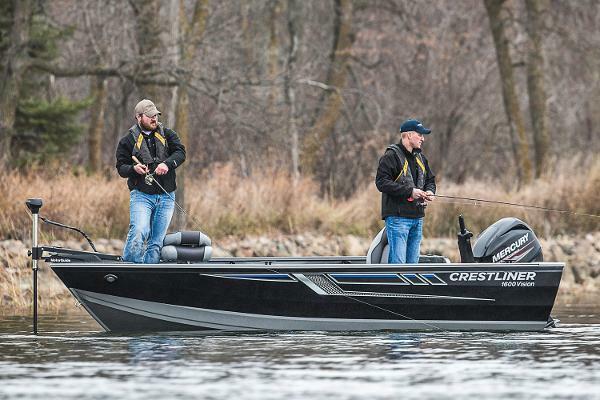 Built with the angler in mind, this roomy boat features everything you need to dominate a day on the water. You'll get an open bow, ample livewell space, and plenty of rod storage standard. 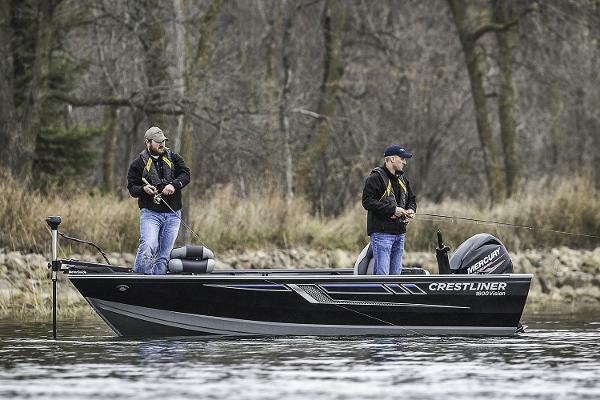 Get in the 1600 Vision Tiller and find out just how successful a day on the water can be. THIS ORDER OUT BOAT PACKAGE INCLUDES: 2017 CRESTLINER 1600 VISION TILLER, MERCURY 40ELHPT 4STK MOTOR, (UPGRADE AVAILABLE) 2017 SHORELANDR CRV22L BUNK TRAILER, Please note: This boat model may or may not be in-stock. A Nationally Advertised Price, if listed, may change without notice or include accessories not fully described herein. Please contact your local, authorized dealer for exact details on model availability and package pricing. 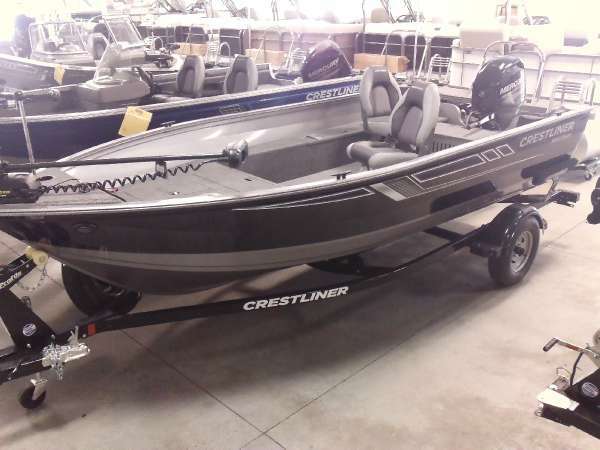 2017 Crestliner 1600 Vision Tiller INCLUDES A CUSTOM TRAVEL COVER, COCKPIT VINYL FLOORING, MINN KOTA FISH PKG (LOWRANCE ELITE 3X, MINN KOTA PD55/V2), BOW TROLLING MOTOR PLUG AND HARNESS, LOCKABLE STARBOARD ROD STORAGE BOX, LOCKABLE STORAGE CONSOLE, 12V ELECTRONICS PKG, SPARE TIRE/CARRIER, LOAD GUIDES, TRANSOM SAVER AND MORE! - EQUIPPED BOAT WITH A MERCURY 50 ELHPT 4S, ROD STORAGE BOX, COVER AND MORE! 2016 Crestliner 1600 Vision Tiller The 1600 Vision Tiller gives you the power to take full command of your fishing. Its intuitive layout puts the most important fishing features with arm's reach, giving you what it takes to own the day right from your cockpit. 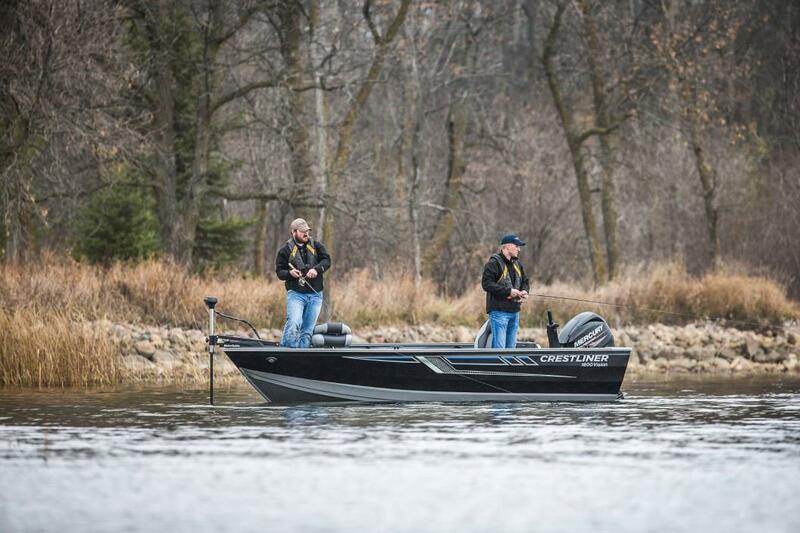 From the abundant rod storage to the aerated livewell and additional compartments, the 1600 Vision Tiller gives you total control of where you go and what it takes to get there. Please note: This boat model may or may not be in-stock. A Nationally Advertised Price, if listed, may change without notice or include accessories not fully described herein. Please contact your local, authorized dealer for exact details on model availability and package pricing.